- A Senior Advocate of Nigeria (SAN) and the director of strategic communications of Buhari campaign organisation, Festus Keyamo, has debunked and condemned claims that the president is a northern-Muslim jihadist. 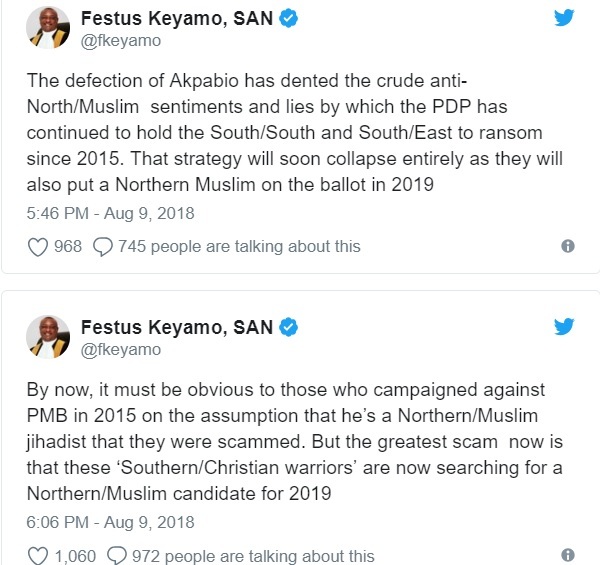 Festus Keyamo, a Senior Advocate of Nigeria (SAN) and the director of strategic communications of Buhari campaign organisation has said that those who believed that the president in 2015 was a northern/Muslim jihadist were scammed. Keyamo also said that ‘the greatest scam now is that ‘southern/Christian warriors’ are now looking for a northern/Muslim candidate ahead of 2019 for presidency. On his Twitter page, Keyamo said: "The defection of Akpabio has dented the crude anti-North/Muslim sentiments and lies by which the PDP has continued to hold the South/South and South/East to ransom since 2015. "That strategy will soon collapse entirely as they will also put a Northern Muslim on the ballot in 2019." 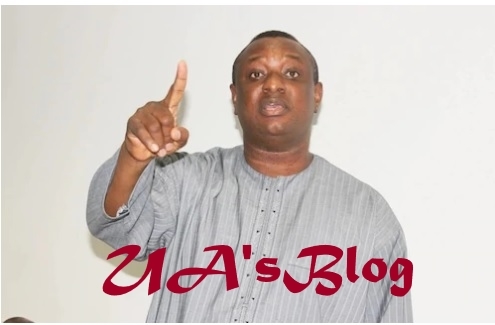 Meanwhile, Ujuayalogu'sBlog reported that Keyamo had expressed dismay that instead of sticking to their original role of bridge-builders in society, some leaders of religious and tribal groups had strayed far into politics. Keyamo was speaking against the backdrop of some inflammatory statements being made across the country by some ethnic leaders who claim to be speaking on behalf of Nigerians.